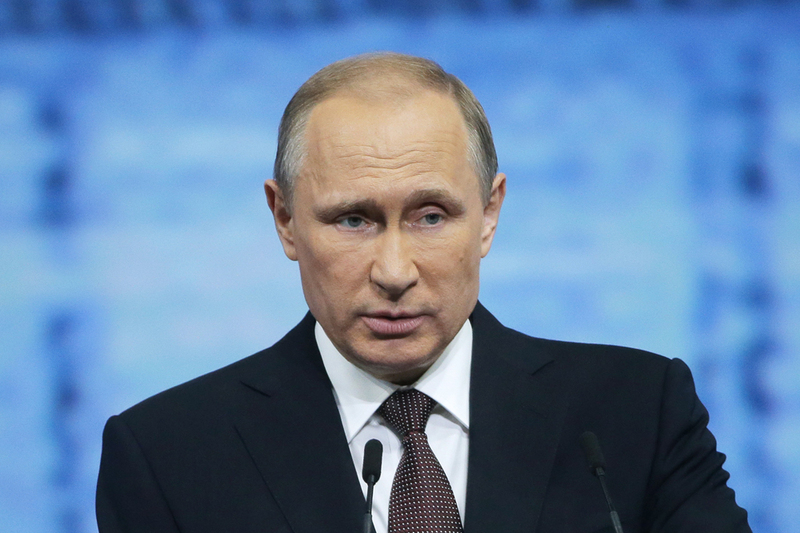 Russian President Vladimir Putin: "The Russian military-technical cooperation objectives for 2016 are being attained." Russian President Vladimir Putin says Russia has exported military gear worth $4.6 billion this year. "The Russian military-technical cooperation objectives for 2016 are being attained," he said at a session of the military-technical cooperation commission. "The arms export has totaled almost $5 billion - $4.6 billion, with the worth of the order book having exceeded $50 billion much." "The Russian materiel has proven its effectiveness and reliability under various conditions," the head of state said. "It is in service in Europe, Asia, Africa, the Middle East and Latin America. It is important that the number of countries buying Russian weapons has been on the rise, new intergovernmental agreements have been signed and new bilateral negotiating teams have been set up." Putin demanded that the defense industry and government "continue to increase the effectiveness of the military-technical cooperation and work in this sphere in a smoother and better coordinated manner." "We also should be prepared for our proactive efforts to prompt stiffer competition," the president remarked. Putin also noted the growing demand for both final products and technologies and personnel training. "There have been graduation ceremonies held by our military education institutes recently. I noticed that the graduates included many service members from other countries, CSTO member states in the first place, but not only them", the president said. "We are right to do that. We shall continue to do so."